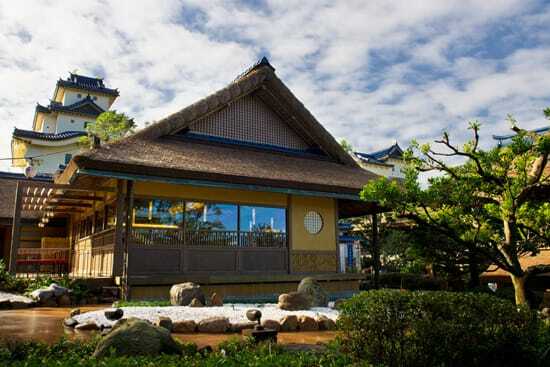 Just in time for the busy winter holidays, Katsura Grill at the Japan Pavilion in Epcot World Showcase is open – a beautiful space that replaces the former Yakitori House. The new exterior is inspired by the strolling gardens at the historic Katsura Imperial Villa outside Kyoto, Japan, established in the 1600s and one of Japan’s cultural treasures. 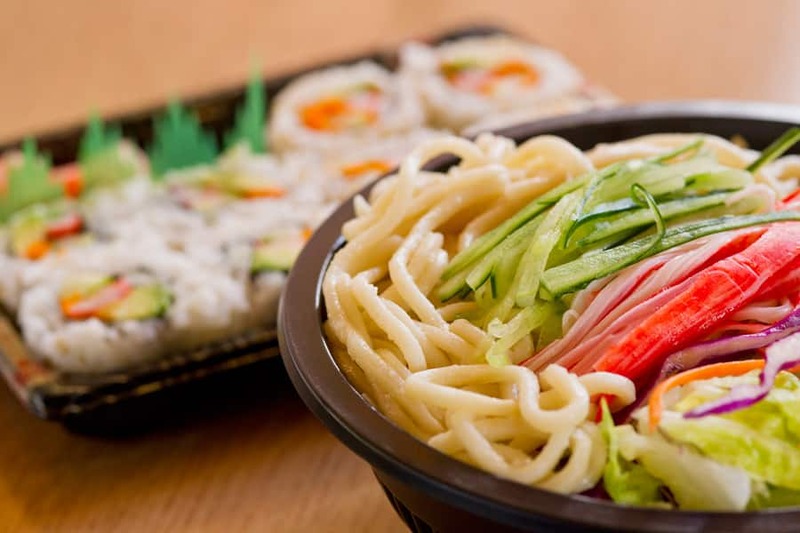 It’s a nice respite on World Showcase Promenade, with quick-service dishes from sushi to Japanese curry, teriyaki and udon noodles – no big changes from the old menu (but they did add edamame, a favorite lo-cal, high-protein snack) and tweaked a few of the old favorites. 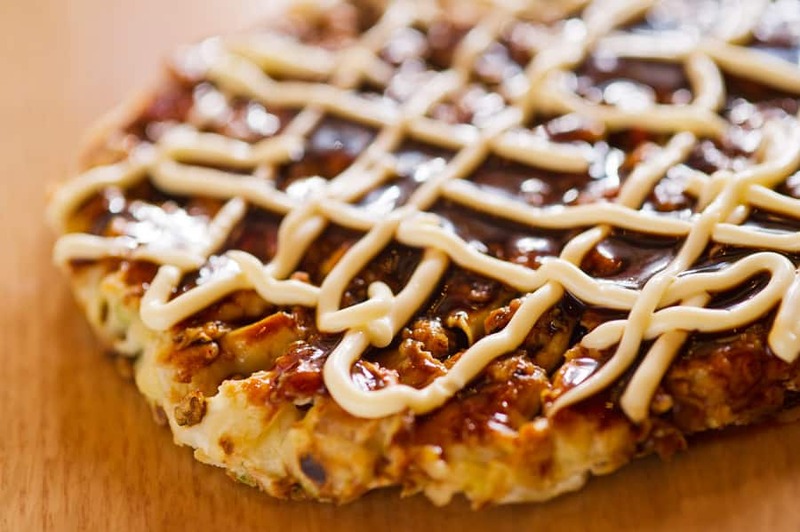 Our new favorite addition is Okonomiyaki, a traditional Japanese pancake (sometimes described as a pizza) topped with veggies and a tangy sauce – crispy on the outside, soft on the inside. Also new is a crispy, panko-breaded chicken sandwich, and a cold ramen noodle dish with shredded crab stick in a sweet soy dressing. Sip a Kirin beer, plum wine or hot or cold sake and enjoy the gardens! Do they still offer the Hot Soup with Udon Noodles? We always get that on the cold nights…. Please oh please tell me the curry hasn’t changed! I absolutely LOVE it! Going to Yakitori House for curry has become one of those things I do every trip. I was quite sad when I was out there last September and it was closed. Hoping I can go to Katsura for curry and edamame for my next trip! 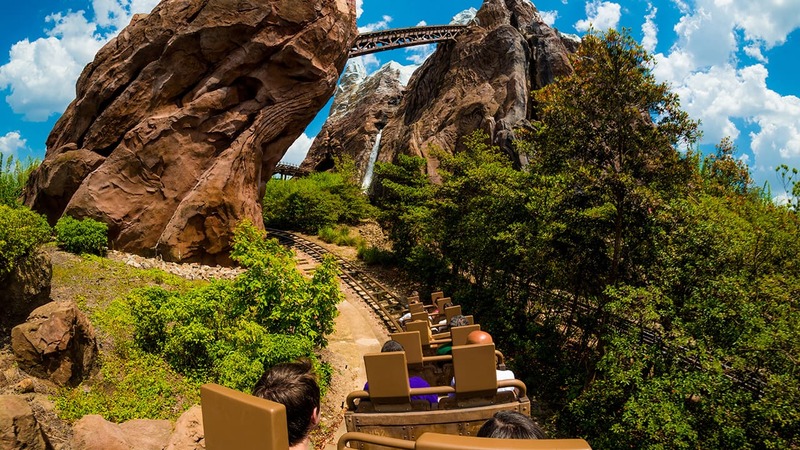 The changes to the decor look quite nice and I can’t wait to check it out. 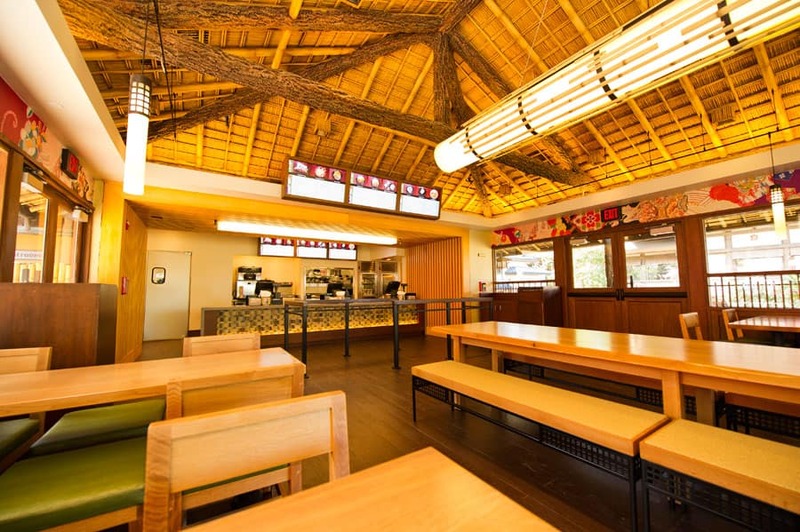 Looks pretty good…but I miss the 80s feel of Yakitori House! If only I had taken pictures of it on my last trip 🙁 Hope you can still eat in the beautiful garden outside! Yes, you can still enjoy your food in the gardens! Hope that place still does that Teriyaki I love so much still. Question: Is there going to be any sort of ribbon cutting ceremony or anything tomorrow? I’m most excited for the Okonomiyaki, it’s one of my favorite japanese dishes! Looks awesome!! Wish I didn’t have to wait 309 days til I am there next! LOL!! Love how bright the new interior is. It would be cool if you guys actually used the sliding doors that made up the walls there. That would be such a great little spot w/the doors all open. The new menu items look great and I’ll check them out on Saturday! It’s nice to have the YH back. I’m getting hungry! The dining room looks great.